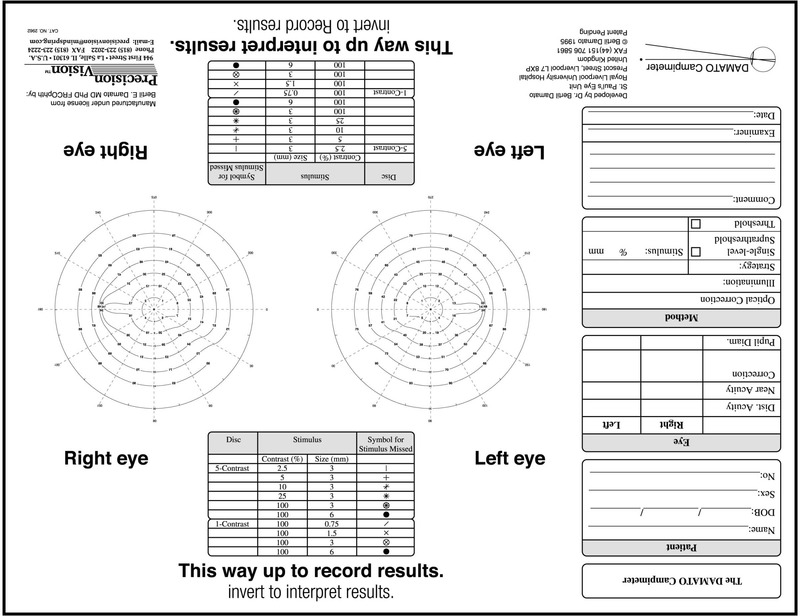 Recording forms includes areas for Patient information including name, date of birth and gender. 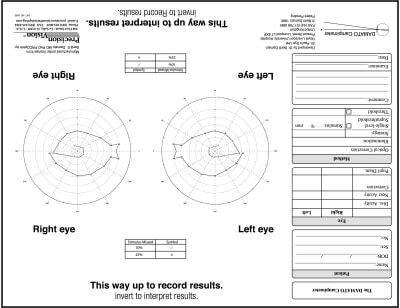 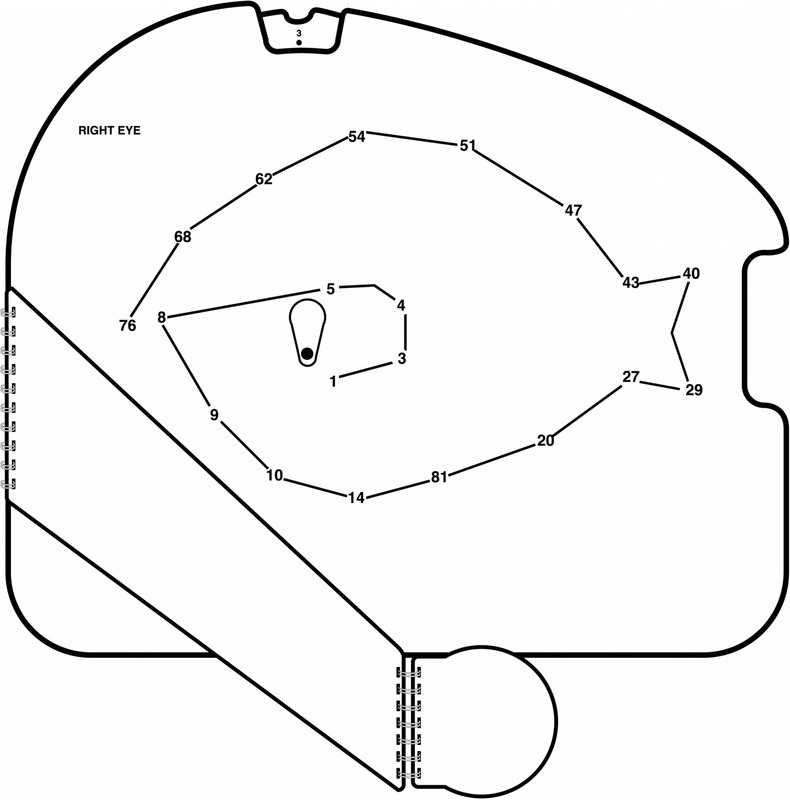 Forms also feature areas for distance acuity, near acuity and correction needed for both the left and right eyes. 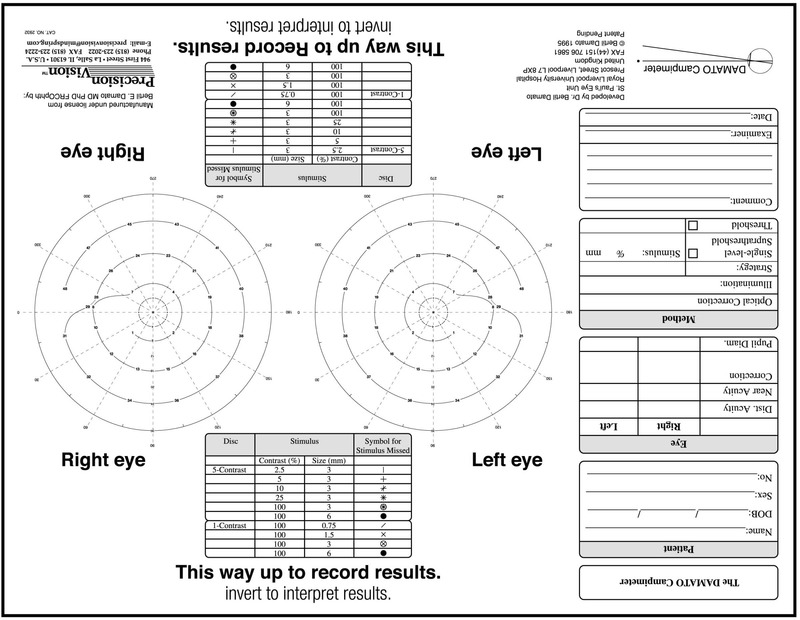 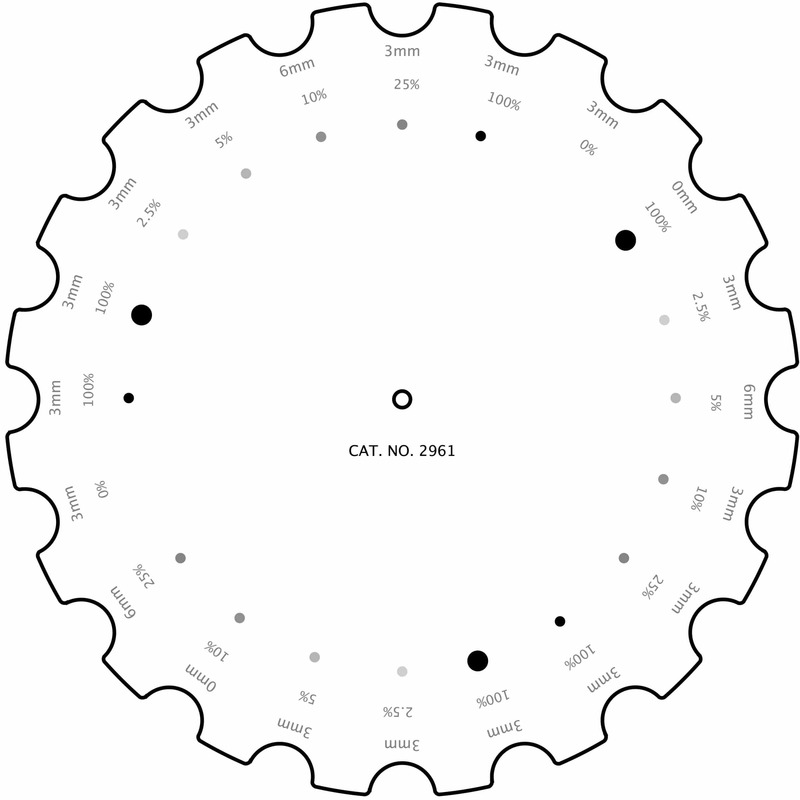 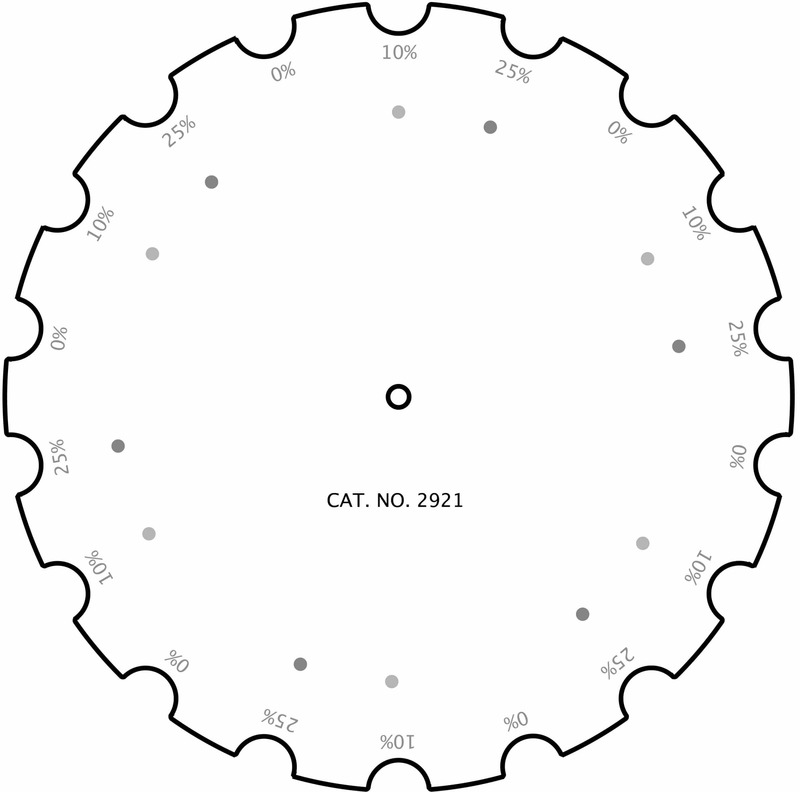 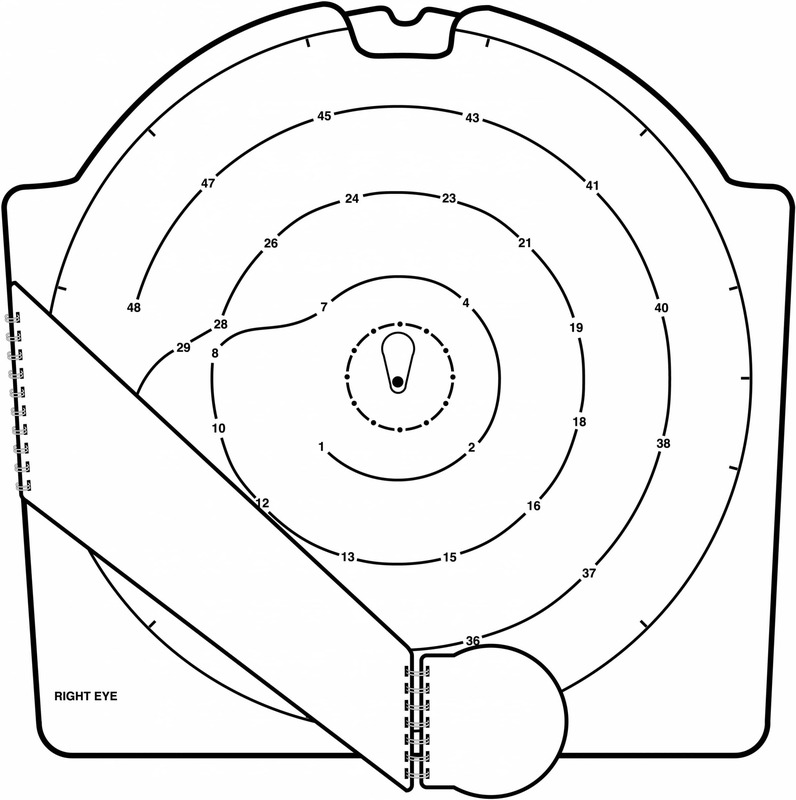 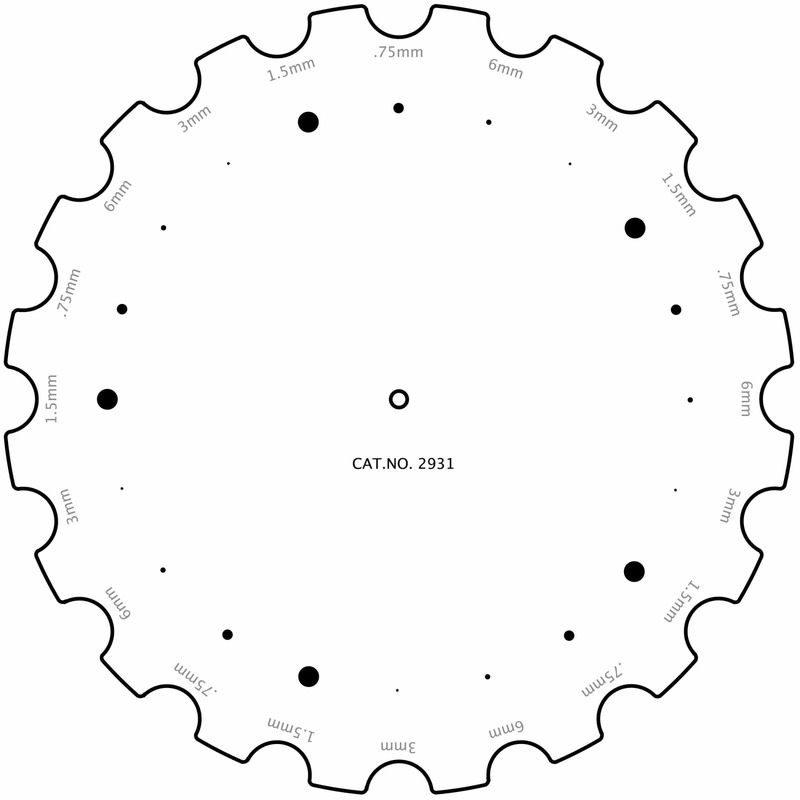 Form uses a diagram of the campimeter for easier testing and recordings. 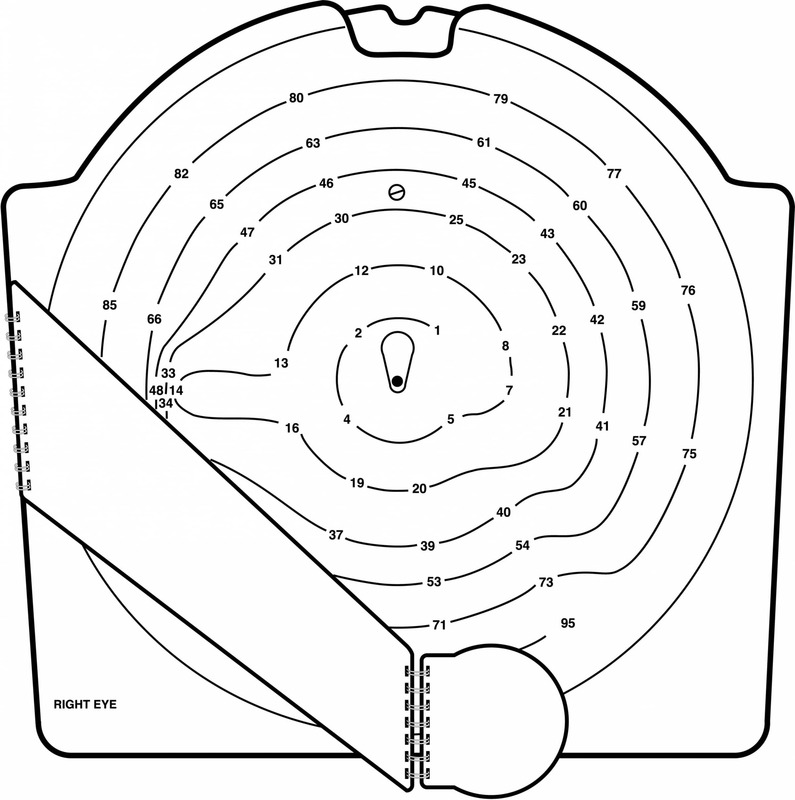 Each missed contrast level uses a unique mark for easy interpretation and recordings.